Business Day: a day (other than a Saturday, Sunday or public holiday) when the banks in the City of London are open for business. 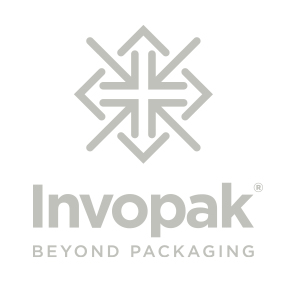 Company: Involvement Packaging Limited (company number: 1605376) whose registered office is at Countrywide House, 23 West Bar, Banbury, Oxon, OX16 9SA. Conditions: the standard terms and conditions of sale set out in this document and (unless the context otherwise requires) including any special terms and conditions agreed in writing between the Customer and the Company. Contract: the contract between the Company and the Customer for the sale and purchase of goods by the Customer from the Company. Customer: the person whose order for the Goods is accepted by the Company. Delivery Location: in relation to Orders from Customers based in the UK ,the Customer’s premises or such other location or locations as the parties may agree in writing or, in relation to Orders from Customers based outside of the UK, the location specified in the Quotation. Goods: the goods (including any instalment of the goods or any parts for them) which the Company is to supply in accordance with the Contract. Instalment Period: has the meaning set out in clause 3.4. Non-Standard Order: has the meaning set out in clause 3.4. Order: the Customer’s written request for goods, issued to the Company. Order Confirmation: a confirmatory, non-binding e-mail or fax issued by the Company to the Customer acknowledging receipt of the Order. Quotation: a written quotation for goods issued to the Customer by the Company. Specification: any specification for the Goods, including related plans and drawings, that is agreed in writing by the Customer and the Company. Stock Guarantee: such statement as the Company may make from time to time on its website or other marketing material in relation to the stock availability of certain of its Goods for dispatch in accordance with these Conditions. Substitute Goods: has the meaning set out in clause 2.7. 1.3 References to the consent, agreement or approval of the Company and similar or equivalent expressions refer to the written consent, agreement or approval of the Company acting by a duly authorised officer. 2.1 All Quotations are made and all Orders are accepted by the Company subject to these Conditions which shall apply to the Contract to the exclusion of any other terms that the Customer seeks to impose or incorporate, or which are implied by trade, custom, practice or course of dealing. 2.2 Quotations issued to the Customer by the Company may be withdrawn or varied at any time and Quotations shall, unless otherwise specified, be automatically withdrawn after 30 days. No binding contract shall in any event arise until the Customer’s Order has been accepted by the Company in accordance with clause 2.3. 2.3 No Quotation shall constitute an offer and no term stated in a Quotation shall become binding on the Company until the Company has accepted the Customer’s Order. On receipt of the Order, the Company may acknowledge receipt with an Order Confirmation. The Order shall only be accepted by the Company when the Company dispatches the Goods to the Customer, at which point the Contract shall come into existence. 2.4 The Company may at its discretion if requested by the Customer provide one or more product samples and/or supplementary product information (which may include manufacturers’ certificates of conformity UN certificates, food grade certificate and cutter guides) to the Customer to assist the Customer in its evaluation and selection of Goods. Neither the provision of samples nor any supplementary product information shall constitute an offer and nor shall such provision be deemed to bind the Company in relation to any subsequent sale. On or after receipt of the samples and/or supplementary product information, the Customer may submit an Order in accordance with the process set out in clause 2.3. The Customer shall not be required to pay for or return any samples or product information provided pursuant to this clause. 2.5 Where Goods are supplied from the Company’s stock, such supply is subject to availability of stock at the date of dispatch. 2.6 Where the Company issues a Stock Guarantee it shall use its reasonable endeavours to ensure that it maintains sufficient stocks to fulfil Customer Orders for the relevant Goods, subject always to clauses 2.3 and 2.5. Moreover, and for the avoidance of doubt, the Company shall not be in breach of these Conditions for failing to supply Goods covered by a Stock Guarantee to the extent that such failure is due to a Force Majeure Event. 2.7 Where any product making up all or part of the Order is unavailable or out of stock the Company reserves the right to substitute Goods contained in the Order (in whole or in part) with a suitable, equivalent goods of equal or greater value (“Substitute Goods“). In this case the Company shall notify the Customer accordingly and may, at its discretion, provide a sample of the Substitute Goods in accordance with clause 2.4. Where the Company delivers Substitute Goods without first obtaining the Customer’s approval by reference to a sample thereof and the Customer is not satisfied with the Substitute Goods, the Customer shall be entitled to return the Substitute Goods in accordance with clause 14. 2.8 These Conditions as supplemented by the Quotation, Order and Order Confirmation constitute the entire agreement between the parties and supersedes all prior discussions, agreements, understandings or arrangements (whether oral or written) between the parties in respect of the subject matter of this Contract. 2.9 No provision of samples or information pursuant to clause 2.4, nor any statement, suggestion or recommendation made by any of the Company’s employees or agents shall constitute any representation concerning the Goods unless confirmed by the Company in writing in the Order Confirmation. The Customer acknowledges that: the Company’s employees and agents are not authorised to make any such representation unless confirmed in accordance with this clause 2.9; in entering into the Contract it has not relied on any statement, promise or representation made or given by or on behalf of the Company which is not set out in the Contract; and, save as expressly set out in the Contract, the Company shall have no liability in respect of any other representation, warranty or promise made prior to the date of the Contract unless it was made fraudulently. 2.10 Any samples, illustrations or descriptive material (including but not limited to particulars of shade and pattern, information provided pursuant to clause 2.4 and information contained in the Company’s brochures, advertising material or elsewhere) shall not form part of the Contract and shall be treated as approximate and for guidance only unless specifically stated otherwise in the Contract. Any certificate provided by the Company as contemplated by clause 2.4 in respect of any Goods is provided as evidence that, as at the production date, the manufacturer has applied that certificate to Goods in question in respect of the qualities set out on in that certificate. No certificate shall be deemed to confirm or imply that those Goods are suitable for any specific use or suitability for use within a specific industry. The Company may at its discretion from time to time vary the design of the Goods from that advertised without notice to the Customer provided that any such variations do not constitute material alterations to the Goods. 3.1 The Customer shall be responsible to the Company for ensuring the completeness and accuracy of the terms and information contained in any Order (including any applicable Specification) submitted by the Customer and for giving the Company any necessary information relating to the Goods within a sufficient time to enable the Company to perform the Contract in accordance with its terms. In the event of such information proving insufficient or inaccurate, the Company reserves the right to cancel the Contract or increase the price quoted in the Quotation or Price List or agreed as it may in its absolute discretion deem appropriate. 3.2 The Customer acknowledges and agrees that it has sole responsibility for the evaluation and selection of Goods, including for undertaking any necessary compatibility testing to ensure that the Goods meets the Customer’s requirements and are fit for the Customer’s intended use of those products. The Customer further acknowledges and agrees that it will undertake all necessary evaluation prior to submitting an Order and is responsible for checking the Order Confirmation to ensure the goods, specifications and quantities listed therein correspond to the Customer’s requirements as stated in the Order. In the event of any discrepancy, the Customer shall notify the Company immediately and in any event within 7 days of issue of the Order Confirmation. 3.3 Where the Company accepts the Customer’s Order, the quantity, quality and description of, and/or any Specification for the Goods shall be those set out in the Order Confirmation. (c) at the end of the Instalment Period, deliver any remaining stock of those Goods to the Customer and invoice the Customer accordingly. 4.1 The price of the Goods shall be the price set out in the Quotation or, where no Quotation has been provided, the default price applicable to that Customer as at the date of dispatch of the Goods. 4.2 All prices quoted are subject to fluctuation in currency exchange rates, the cost of labour materials, fuel and power, transport and other costs. The Company reserves the right by giving notice to the Customer by email at any time before dispatch, to increase the price of the Goods to reflect any increase in the cost to the Company which is due to any factor beyond the control of the Company (including, without limitation, any fluctuation in any currency exchange rates, significant increase in the costs of labour, materials or other costs of manufacture), any change in delivery terms, quantities or specifications for Goods which is requested by the Customer, or any delay caused by instructions of the Customer or failure of the Customer to give the Company accurate information or instructions. Without prejudice to clause 2.3, where the price increases after the Company issues an Order Confirmation the Company shall notify the Customer with a revised Order Confirmation and the Customer shall have 7 days to confirm whether the new price is acceptable. If the Customer does not notify the Company of its intent to cancel its Order within 7 days of such notification the Company may proceed with dispatch of the Goods in accordance with the terms of the revised Order Confirmation. 4.3 Without prejudice to clause 4.2, prices quoted by the Company relate to the quantities shown in the Quotation and the Company shall not be obliged to supply a smaller or larger quantity at the prices quoted after the Order has been confirmed and the Company reserves the right to increase the price where the Customer orders lesser or greater quantities. 4.4 The price of the Goods is exclusive of amounts in respect of value added tax (VAT) and any other tax or duty relating to the manufacture, transportation, export, import, sale or delivery of the Goods. If the Customer is required under any applicable law to withhold or deduct any amount from the payments due to the Company, the Customer shall increase the sum it pays to the Company by the amount necessary to leave the Company with an amount equal to the sum it would have received if no such withholdings or deductions had been made. 4.5 The price of the Goods is exclusive of the costs and charges of packaging, insurance and transport of the Goods, which shall be invoiced to the Customer in accordance with the prices stated in the Quotation and/or Order Confirmation. 5.1 Subject to any special terms agreed in writing between the Customer and the Company, the Company shall be entitled to invoice the Customer for the Goods on or at any time after delivery to the Delivery Location. 5.2 Unless otherwise agreed by the Company, payment in the currency specified in the Quotation shall be due and payable 30 days from the date of invoice. The time of payment shall be of the essence to the Contract. 5.3 All payments are to be made without the right of set off, counterclaim or deduction or withholding whatsoever (other than any deduction or withholding of tax as required by law). Where any payment made to the Company pursuant to the Contract incurs additional bank charges (for example, in connection with the international transfers of funds), these shall be payable in full by the Customer. 5.4 Where Goods are delivered in instalments, the Company may invoice each instalment separately. 5.5 No dispute arising under the Contract shall excuse the Customer from its obligations under this clause. 5.6 In the event of default in payment by the Customer the Company shall be entitled, without prejudice to any other right or remedy, to suspend all further deliveries and to charge interest calculated on a daily rate on any amount outstanding at the rate of 4% per annum above the HSBC Bank Plc base rate in force at the relevant time. (b) allocate any payment made by the Customer to such of the Goods (or the goods supplied under any other contract between the Customer and the Company) as the Company may think fit (notwithstanding any purported allocation by the Customer). 6.1 Delivery shall take place when the Company delivers the Goods to the Delivery Location. On delivery the Customer, or its representative, shall sign a proof of delivery. 6.2 Time for delivery is stated as accurately as possible but is not guaranteed and time is not of the essence for delivery (unless previously agreed by the Company). The Company shall use its reasonable endeavours to deliver on the stated delivery date but shall not be liable for the consequences of any delay in delivery or failure to deliver where such delay or failure is caused by industrial dispute or by any cause beyond the reasonable control of the Company. The Company may deliver the Goods in advance of the quoted delivery date upon giving reasonable notice to the Customer. 6.3 No delay by the Company in delivering the Goods shall entitle the Customer to reject any delivery or repudiate the Contract. Where the Goods are to be delivered in instalments, each delivery shall constitute a separate Contract and failure by the Company to deliver any one or more of such instalments in accordance with these Conditions or any claim by the Customer in respect of any one or more instalments shall not entitle the Customer to treat the Contract as a whole as repudiated. 6.4 If for any reason the Customer fails to accept delivery of the Goods or fails to give the Company adequate delivery instructions when the Goods are due and ready for delivery, the Company may either arrange storage of the Goods at the Customer’s risk and the Customer shall be liable to the Company for all associated costs (including insurance) of such storage, or sell the Goods at the best price readily obtainable and charge the Customer for any shortfall below the price under the Contract. This provision is without prejudice to any other right or remedy which the Company may have in respect of the Customer’s failure to take delivery of the Goods or pay for them in accordance with the Contract. 6.5 The Customer is responsible for obtaining, at its own cost, such import licences and other consents in relation to the Goods as may be required from time to time and, if required by the Company, the Customer shall make those licences and consents available to the Company prior to delivery. Without prejudice to clause 4.2, except with the Company’s prior consent, any cancellation of an Order by the Customer may only be made before the Goods have been dispatched. Where the Company in its sole discretion consents to cancellation of an Order by the Customer after dispatch of the Goods, such cancellation shall be subject to the condition that the Customer shall immediately upon confirmation of the Company’s consent reimburse the Company in full for all costs and expenses incurred by the Company up to the time of cancellation together with all loss of profits and other loss or damage suffered or incurred by the Company by reason of such cancellation. 8.1 Risk in the Goods shall pass to the Customer once the Goods cease to be in the possession of or under the control of the Company. The Customer shall be responsible for ensuring that all Goods are insured whilst in transit to the Delivery Location. 8.2 Title in the Goods (whether separate and identifiable from other goods) shall only pass to the Customer when cleared payment in full has been made for those Goods and for any other goods supplied by the Company and any other monies due to the Company under any other contract or for any other reason. 8.3 Until title to the Goods passes to the Customer the Customer shall: hold the Goods as the Company’s fiduciary agent and bailee; keep the Goods separately and properly stored, protected, insured and readily identifiable as the property of the Company; and not attach the Goods to other property without the prior consent of the Company. Notwithstanding the foregoing the Customer shall be entitled to resell or use the Goods in the ordinary course of its business (unless the Company revokes such entitlement). 8.4 At any time before title to the Goods passes to the Customer, the Customer becomes subject to the events listed in clause 20.2, or the Company reasonably believes such event is about to occur and notifies the Customer accordingly, the Company may without prejudice to any of its other rights take possession of all or any part of the Goods and enter any premises for that purpose or authorise others to do so and require delivery up to it of all or any part of the Goods. (iv) after delivery, the Goods have been handled in accordance with the Company’s instructions and recommendations. 9.2 Any remedy under this clause 9 shall be limited to making good the shortage or issuing a credit for the difference, at the Company’s discretion. (v) if so required by the Company, the Customer takes all reasonable steps necessary to permit the Company or its representative to inspect the Goods (such inspection to occur within 14 days of receiving such written notification (or within 28 days in the case of Goods situated outside the United Kingdom)) including but not limited to allowing the Company reasonable access to the Goods at reasonable times on reasonable prior written notice and making available such inspection facilities as the Company may reasonably require. (iv) any defect arising by reason of the Customer’s failure to satisfy itself that the Goods are suitable for the Customer’s intended use of those Goods, pursuant to clause 3.2. 10.3 Any remedy under this clause 10 shall be limited, at the Company’s option, to the replacement or repair of any Goods which are proven, to the Company’s satisfaction, to contain or have contained a defect not apparent on a visual inspection at the time of delivery. 11.1 Any claim for non-delivery of any Goods shall be notified in writing by the Customer to the Company and, where relevant, the carrier, within 7 days of the date of the Company’s invoice. 11.2 Any claim pursuant to clauses 9 or 10 in respect of any shortfall, defect in the quality or condition of the Goods or their failure to correspond with Specification shall (whether or not delivery is refused by the Customer) be notified to the Company within [14 days] from the date of delivery or the proposed delivery date (as the case may be) or (where the defect or failure was not apparent on reasonable inspection in accordance with clause 9.1(i)) within [7 days] after discovery of the defect or failure. 12.1 Subject to clause 12.5, the Company warrants that on delivery to the Delivery Location the Goods will correspond with their specification and be free from defects in material and workmanship. (b) refund the price of the defective Goods in full together with, where applicable, any delivery charges and any reasonable costs the Customer may incur in returning the Goods to the Company. Provided the Customer has complied with the above conditions for return, nothing in this clause shall preclude any claim the Customer may have for reimbursement of reasonable return costs where such return arises as a result of the Company’s breach of the above warranty and is requested by the Company. 12.3 The issue by the Company, at its sole discretion, of any refund pursuant to clause 12.2, shall be subject to (i) the Company receiving the returned Goods at the Company’s premises within 21 days of delivery and (ii) where applicable, the Goods being returned to the Company’s premises unused and in no less re-saleable a condition than the condition in which they were delivered. 12.4 Where the Customer fails to notify the Company in accordance with clause 12.2(a) above, the Company may at its absolute discretion credit or refund the Customer, without prejudice to its right to charge a handling and restocking fee (details of which shall be available from the Company’s Sales Team). (h) the Goods differ from their description as a result of the Customer’s failure to check the Order Confirmation in accordance with clause 3.2. 12.6 Except as set out in this these Conditions, all warranties, conditions and other terms implied by statute or common law are, to the fullest extent permitted by law, excluded. 12.7 This clause 12 shall extend to any repaired or replacement Goods supplied by the Company. If delivery to the Delivery Location is not refused, and the Customer does not notify the Company of any claim in accordance with the provisions of clauses 11.1, 11.2 or 12.2(a) as applicable, the Goods shall be deemed to have been delivered free of defects and in the correct quantity and the Customer shall not be entitled to reject the Goods and the Company shall have no liability for such defects or failure, and the Customer shall be bound to pay the price as if the Goods had been delivered in accordance with the Contract. (i) where the Company collects the Goods, credit or refund the Customer for the Goods which shall be subject to a handling fee and a restocking fee (details of which shall be available from the Company’s Sales Team). (ii) where the Customer arranges for collection of the Goods, issue a refund for the Goods which shall be subject to a reduced handling fee and a restocking fee (details of which shall be available from the Company’s Sales Team). 14.2 Where the Customer fails to comply with clause 14.1(a) and (b), the Company has the right at its sole discretion to accept or refuse the return of those Goods. The Company may, again at its sole discretion, decline to issue a credit or refund but instead offer to provide the Customer replacement goods. (c) any matter in respect of which it would be unlawful for the Company to exclude or restrict liability under applicable law. (b) the Company’s total liability to the Customer in respect of all other losses arising under or in connection with the Contract, whether in contract, tort (including negligence), breach of statutory duty, or otherwise, shall not exceed the lesser of £250,000 and the value of orders placed by the Customer in the previous 12 month period. 16.1 Without prejudice to clause 3.4, where the Customer places a Non-Standard Order, the Customer shall indemnify the Company against all liabilities, costs, expenses, damages, demands and losses (including any direct, indirect or consequential losses, loss of profit, loss of reputation and all interest, penalties and legal and other reasonable professional costs and expenses) suffered or incurred by the Company in connection with any claim made against the Company for actual or alleged infringement of a third party’s intellectual property rights arising out of or in connection with the Company’s use of the specification. This clause 16.1 shall survive termination of the Contract. 16.2 Where the Customer places a Non-Standard Order, the Company shall use its reasonable endeavours to fulfil the order, but if it proves impossible, impracticable or uneconomical to do so, the Company reserves the right to cancel the Contract or any uncompleted balance of it, in which event the Customer shall only be liable to pay for the part of the Contract actually delivered or performed. 17.1 Any copyright subsisting in or arising from all documents, drawings, specifications, designs, programmes or any other material prepared by the Company whether readable by humans or by machines remains the sole property of the Company absolutely and the Customer agrees that it shall not be reproduced or disclosed or used in any way without the Company’s consent for any purpose other than that for which they were furnished. 17.2 The Company has not knowingly infringed any intellectual property rights of any third party but gives no warranty or representation that such material does not infringe any third party intellectual property rights. 17.3 The Customer shall indemnify and keep the Company indemnified against all costs, expenses, damages and demands incurred by the Company in respect of any alleged infringement of the patents, trade marks, copyright, design or other industrial property rights used by the Company at the request of the Customer. The Customer agrees to pay due regard to any information or any revised information whenever supplied by the Company (and is deemed to have been given reasonable information and to have read and understood it) relating to the use for which the Goods are designed or have been tested or concerning conditions necessary to ensure that the Goods will be safe when they are being set, used, cleaned or maintained by the Customer or when they are being dismantled or disposed of, and the Customer undertakes to take such steps as may be specified by the above information to ensure that, as far as reasonably practicable, the Goods will be safe for use at all times as mentioned above. The Company at its sole discretion at any time shall be entitled to appoint one or more sub-contractors to carry out all or any of its obligations hereunder provided that the acts and omissions of any sub-contractor so appointed shall, for the purposes of the Contract, be deemed to be an act or omission of the Company. 20.1 If the Customer becomes subject to any of the events listed in clause 20.2, or the Company reasonably believes that the Customer is about to become subject to any of them and notifies the Customer accordingly, then, without limiting any other right or remedy available to the Company, the Company has the right to cancel or suspend all further deliveries under the Contract or under any other contract between the Customer and the Company without incurring any liability to the Customer, and all outstanding sums in respect of any goods delivered to the Customer shall become immediately due. 20.3 Termination of the Contract, however arising, shall not affect any of the parties’ rights and remedies that have accrued as at termination. Clauses which expressly or by implication survive termination of the Contract shall continue in full force and effect. Neither party shall be liable for any failure or delay in performing its obligations under the Contract to the extent that such failure or delay is caused by a Force Majeure Event. A Force Majeure Event means any event beyond a party’s reasonable control, which by its nature could not have been foreseen, or, if it could have been foreseen, was unavoidable, including strikes, lock-outs or other industrial disputes (whether involving its own workforce or a third party’s), failure of energy sources or transport network, shortages of raw materials, acts of God, war, terrorism, riot, civil commotion, interference by civil or military authorities, national or international calamity, armed conflict, malicious damage, breakdown of plant or machinery, nuclear, chemical or biological contamination, sonic boom, explosions, collapse of building structures, fires, floods, storms, earthquakes, loss at sea, epidemics or similar events, natural disasters or extreme adverse weather conditions, or default of suppliers or sub-contractors. All notices to the Company must be sent to the Company at Hyde Point, Dunkirk Lane, Hyde, Cheshire, SK14 4PL. The Company may give notice to the Customer at either the e-mail or postal address provided at the time of Order. Notice shall be deemed received: if sent by e-mail 24 hours after the e-mail is sent; or if sent by pre-paid first class post or recorded delivery on the second Business Day after posting. In proving the service of any notice, it shall be sufficient to prove, in the case of a letter, that the letter was properly addressed, stamped and placed in the post and, in the case of an e-mail, that the e-mail was sent to the specified e-mail address of the addressee. If any court or competent authority finds that any of the provision of the Contract is invalid, unlawful or unenforceable to any extent, that provision or part-provision shall, to that extent only, be severed from the remaining provisions of the Contract, which shall continue to be valid and enforceable to the fullest extent permitted by law. A person who is not party to the Contract shall have no right under or in connection with it. 25.1 The Company may revise and amend these standard terms and conditions from time to time. Subject to clause 25.2, revisions and amendments shall not affect orders accepted by the Company in accordance with clause 2.3. 25.2 Save to the extent of any change to these terms and conditions required by law or governmental authority, any Order shall be subject to the version of these terms and conditions in force at the time the Customer places such Order. In respect of any Order placed (but not accepted by the Company pursuant to clause 2.3) as at the date of such change, the Company shall notify the Customer of changes and the Customer shall be entitled to cancel such Order. 25.3 Except as set out in these Conditions, any variation to the Conditions or the Contract shall only be binding when agreed in writing and signed by an authorised officer of the Company. The Contract and any dispute or claim arising out of or in connection with it or its subject matter or formation (including on-contractual disputes or claims) shall be governed and interpreted exclusively according to English law and the parties irrevocably submit to the exclusive jurisdiction of the English Courts. 27.1 This Contract is drafted in the English language. If this Contract is translated into any other language, the English language version shall prevail. 27.2 Any notice given under or in connection with this Contract shall be in the English language. All other documents provided under or in connection with this Contract shall be in the English language, or accompanied by a certified English translation.